In "Silence of Balance" the title really tells it all. This is the music that returns you to yourself. Unlike others in the Silence series, this piece was improvised around a core structure, to some degree pre-prepared. There is an "entranced" quality to the work that comes of being recorded in one, continual session. John Levine plays this piece on a Steinway Concert Grand piano - he calls it "the instrument of my dreams" - an apt reflection of the feeling in this music. 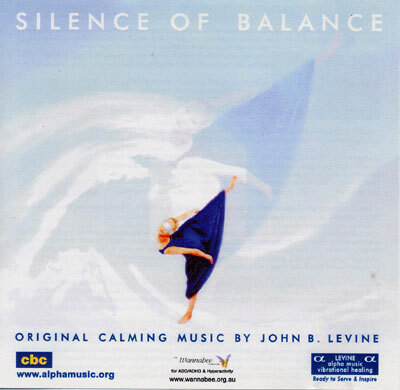 "Silence of Balance" is part of the "Silence" series of CDs. All have been composed to lead you into a calm state and help you stay there for as long as you need. However, each CD in the series has its unique nature and qualities, especially helpful with particular needs. Healers: "Balance" has been composed in the key of "G". In the Indian Chakra system of body energy centres, the key of "G" corresponds to the solar plexus.